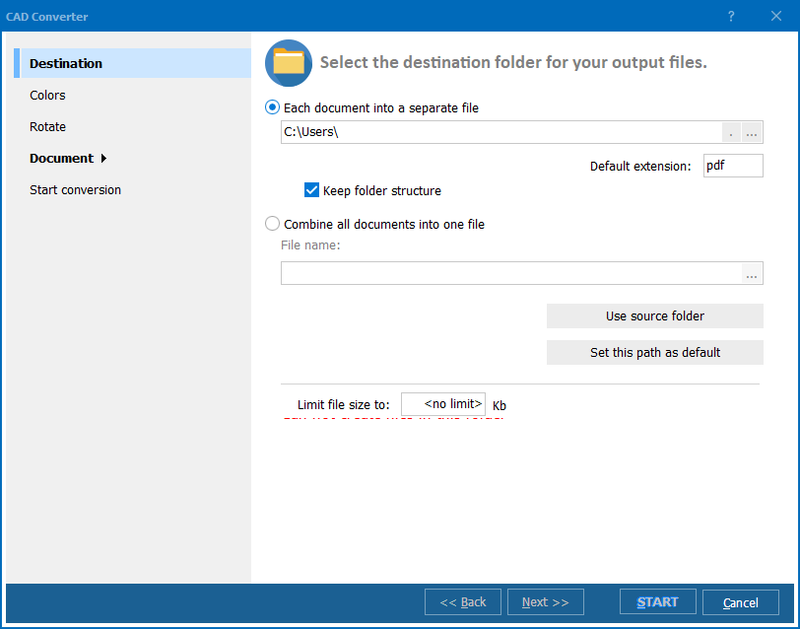 Convert DWF files to DXF in batch! With the help of Total CAD Converter you can convert DWG to DXF in batch faster than ever before. Let's face it, when it comes to file types there is no one size fits all. But it is possible to change from one format to another in order to increase accessibility. Here at CoolUtils we specialize in providing users with the best in conversion utilities. For example, when you convert DWG to DXF, changing it into a more universal ASCII (text-based) format, so many more AutoCAD programs can open it. It doesn't matter how large your job may be, the batch DWG to DXF converter can handle it. Our user-friendly GUI will walk you through the process each step of the way. Whether you're looking to perform a direct conversion, or to modify your files too, we're here to help. 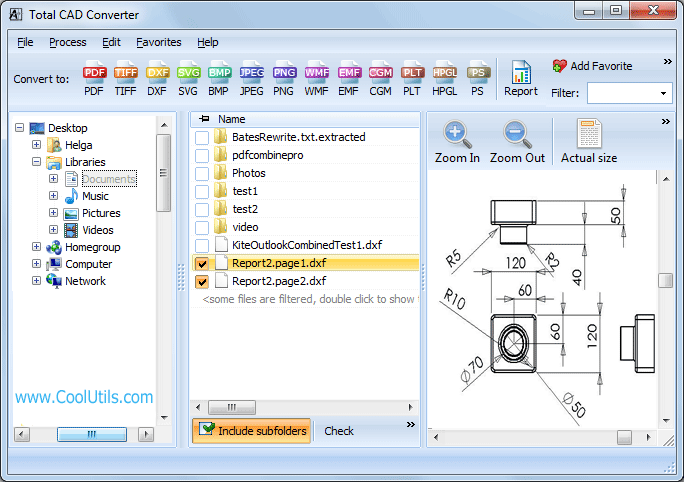 Loaded with options, the Total CAD Converter actually lets you enhance your files, making them better than the originals. 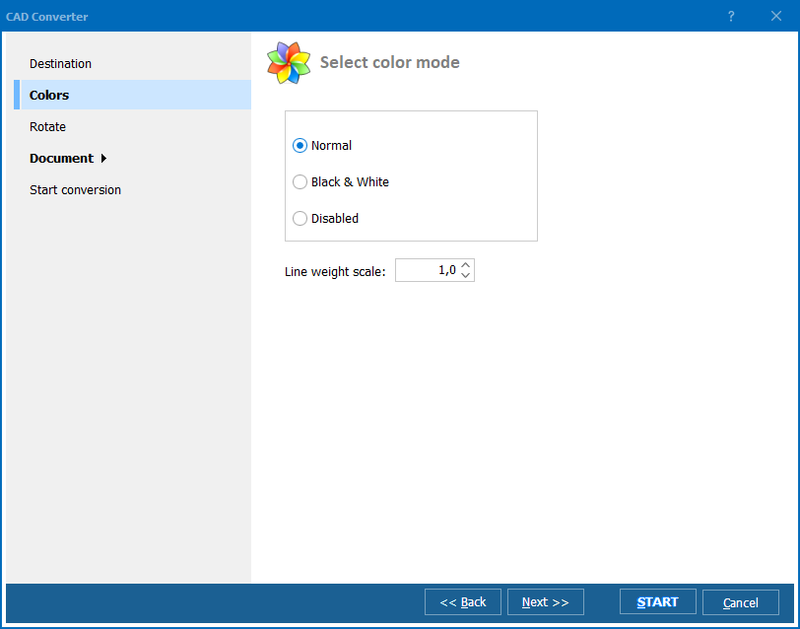 Select color mode (turn color DWG drawings black and white). Add a custom watermark (your logo or copywrite info or any note). For advanced users, we offer direct access to the command line. Now you can automate batch jobs behind the scenes through quiet command prompts! All this and more can be yours for a onetime licensing fee of $99.90(an incredibly affordable price compared to other CAD tools). You'll gain access to our helpful support team, and all upgrades are free for the first year. Still not sure? No problem. Start by downloading our free one month trial. See for yourself how awesome the Total CAD Converter can be! Here at CoolUtils, we're always looking for ways to improve our software. We want to hear from you. It's through the thoughtful feedback received over the years that we've been able to focus our development in ways that benefits our users the most. So let us know what you think! 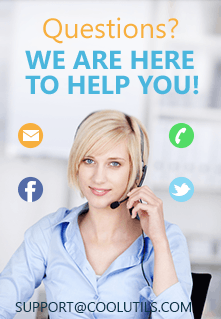 To learn more about our great conversion solutions, follow us on Facebook and Twitter.